As the renowned Creative Learning team at Sunderland Empire gear up to host their next Autism friendly Relaxed Performance, Jack and the Beanstalk on Wednesday 27th December at 5pm, the team themselves took centre stage this month to receive the highly prestigious Member’s Award from Action for Children’s Arts, for their autism specific projects, specifically in the field of Relaxed Performances. Sunderland Empire. Photo: North News & Pics. Hollie Coxon and Anthony Hope from Sunderland Empire were nominated by Dr Chris Abbott, Trustee of Actions for Children’s Arts Charity and the judge’s decision was unanimous, choosing Creative Learning as a winner of this highly regarded recognition. 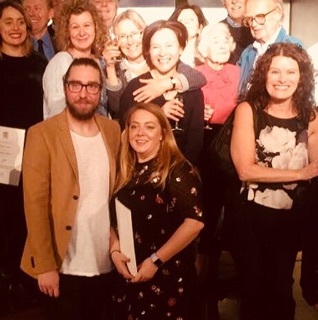 Member’s Awards are presented to individuals and organisations whose work makes an outstanding contribution to ACA’s aim of enriching children’s lives through the arts. The team shared the stage with much-loved children's playwright and ACA President David Wood OBE who received the 2017 Action for Children's Arts J.M. Barrie Award, in honour of his lifetime of unforgettable writing for children. Sir Cameron Mackintosh personally welcomed assembled guests, before a ceremony that included speeches from Maureen Lipman CBE and ACA patrons Philip Pullman CBE and Judith Kerr OBE. Hollie Coxon, Creative Learning Manager, Sunderland Empire said: “Winning the greatly coveted ACA Member’s award and sharing such highly regarded recognition of our Relaxed Performance, will make such a huge difference in raising the profile of this importance of inclusivity, which we are so passionate about. The team have worked on a host of inclusive projects which engage groups, special schools and families in Creative Learning activities, to complement the growing programme of outstanding Relaxed Performances. 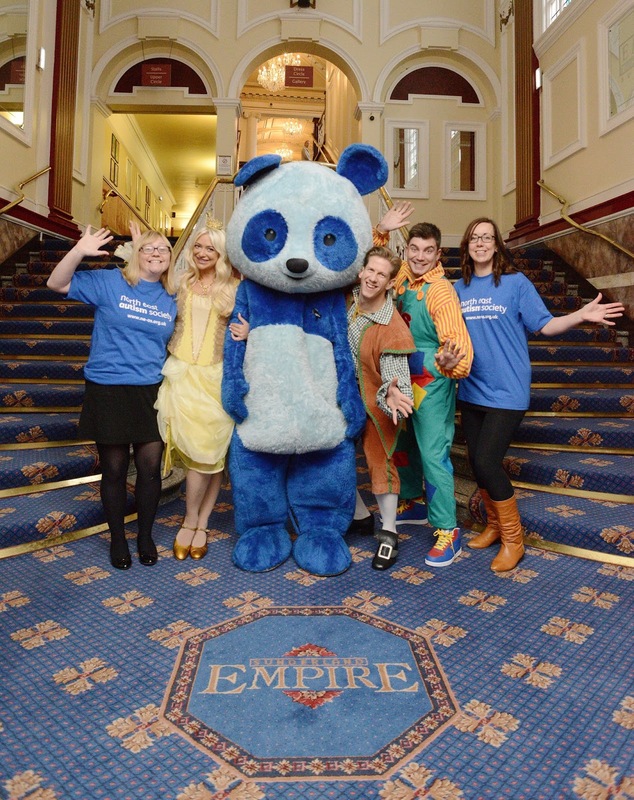 The North East Autism Society have been an integral part of Sunderland Empires Relaxed Performance journey, as well as supporting numerous engagement projects as part of the Creative Learning programme. Hollie Coxon added: “The recognition from Action for Children’s Arts will make such a difference in supporting us to continue to grow our Autism offer together with the North East Autism Society (NEAS) and other partners, alongside local families and groups. By sharing and developing with local cultural partners; families, groups and individuals with additional needs such as Autism are able to access Sunderland’s broad Autism Friendly cultural offering at multiple venues across the city. This years Relaxed Performance is Jack and the Beanstalk (27 December, 5pm) and is primarily designed for patrons who may be concerned about attending a theatrical performance and may find visiting the theatre daunting. They are informal performances that are designed to benefit patrons with additional needs, such as autism, ADHD, dementia, young children or anyone who would benefit from a more relaxed environment. Kerrie Highcock, Family Development Manager at NEAS said: “We have had the opportunity to work with the Sunderland Empire for a number of years on developing and delivering a relaxed performance for people with autism and their families. It has been fantastic to be part of something which can make a difference to so many people’s lives. Slight alterations such as technical changes to lights, pyrotechnics, and noise levels are made to the performance though the overall content does not change. In addition pre-show familiarisation visits can be arranged along with visual stories to supporting the visit.